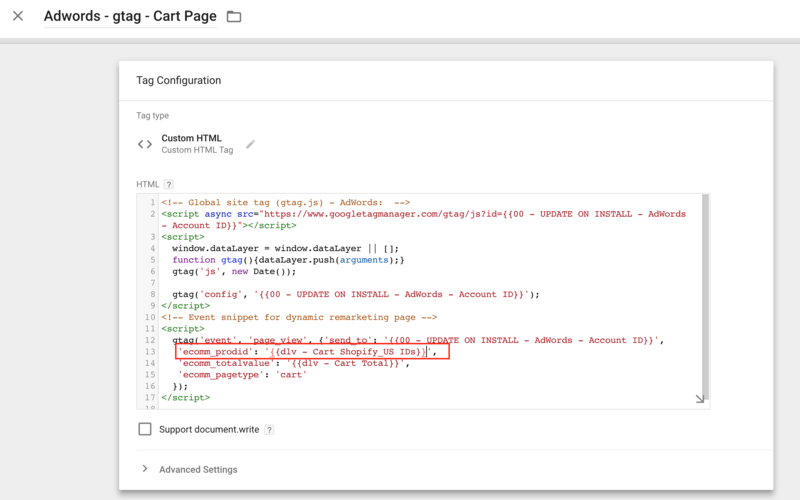 If your Shopify store is using Shopify product IDs instead of variant SKUs in your Google Merchant Center then you will need to change out two variables in Google Tag Manager. Why? 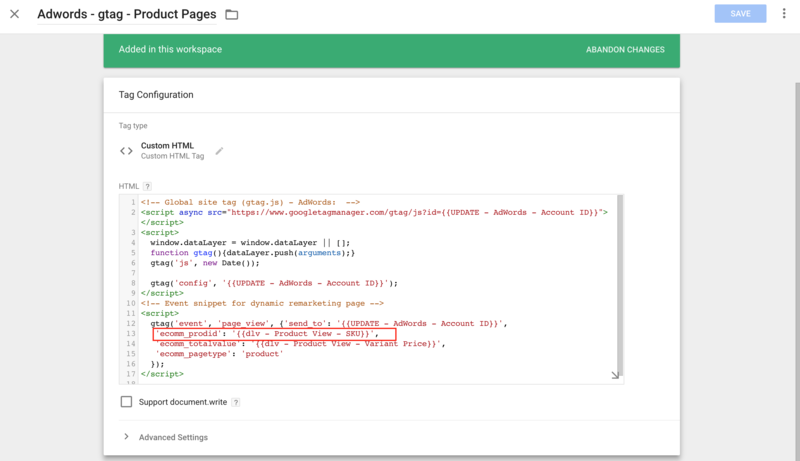 Because Google Merchant Center product IDs need to match the ecomm_prodid that we are sending with the remarketing tags. When these don't match you'll usually see errors within your AdWords audience sources.